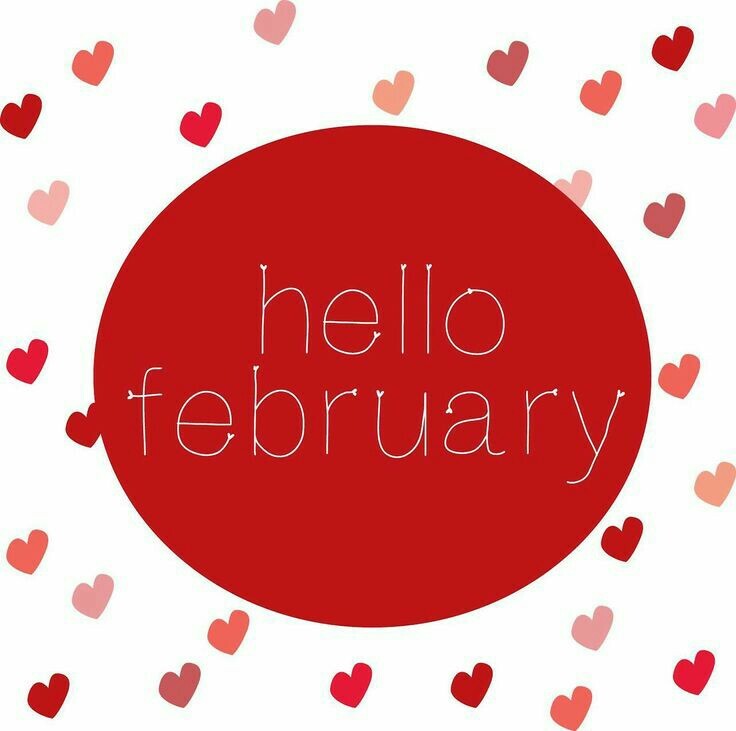 It's the month of love and my goals go right along with that! 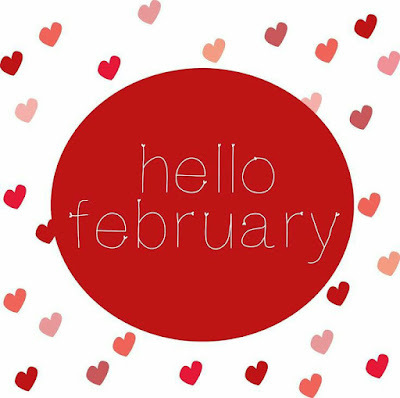 They are short and sweet this month, kinda like February! 1. 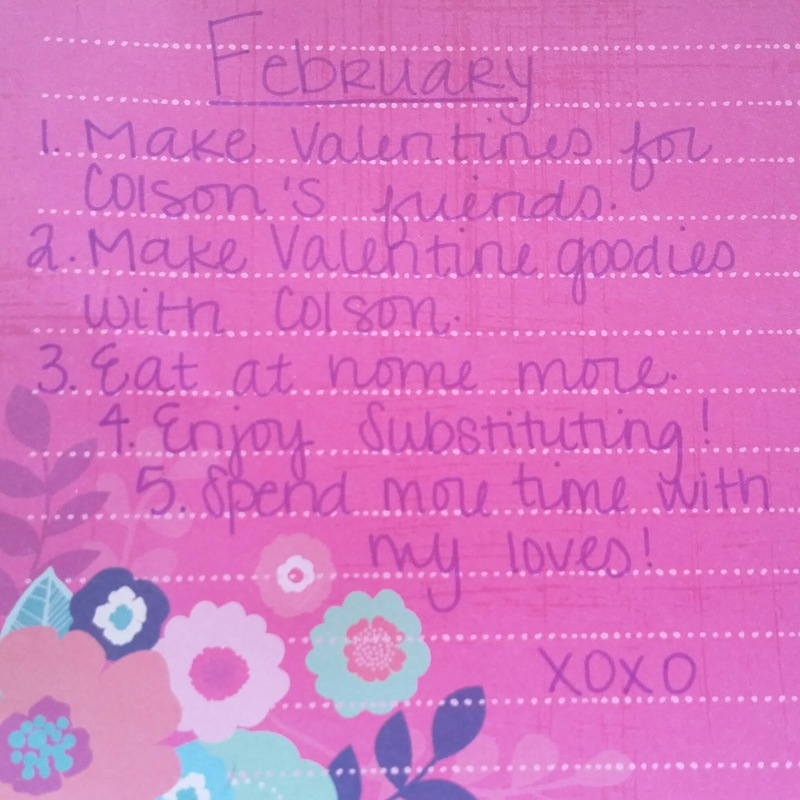 Make Valentines with Colson. Since there is only two of them at daycare, we'll make a few extra and deliver but it will be easy and simple. 2. Make Valentine goodies with Colson. He loves helping me bake in the kitchen so I think it will be fun to make cookies and have him do the decorating. I'm prepared for a giant mess, but he'll love it. 3. I did a major grocery shopping trip on the 1st an filled our fridge and pantry...so, I want to eat out less. I find myself not wanting to cook some nights so we grab a pizza or go to dinner. This means that food goes to waste around here. I don't like that. I want to cook more and enjoy meals at home with my family. 4. I'm officially a substitute for the Emmett School District now so I want to make the most of the opportunity to be in the schools. I want to get to know the staff at the schools and find out what age I really love being around. I got added to the list yesterday, and I've already taken four jobs. I'm looking forward to those days! I really loved this when I saw it on Pinterest, it's such a good reminder!